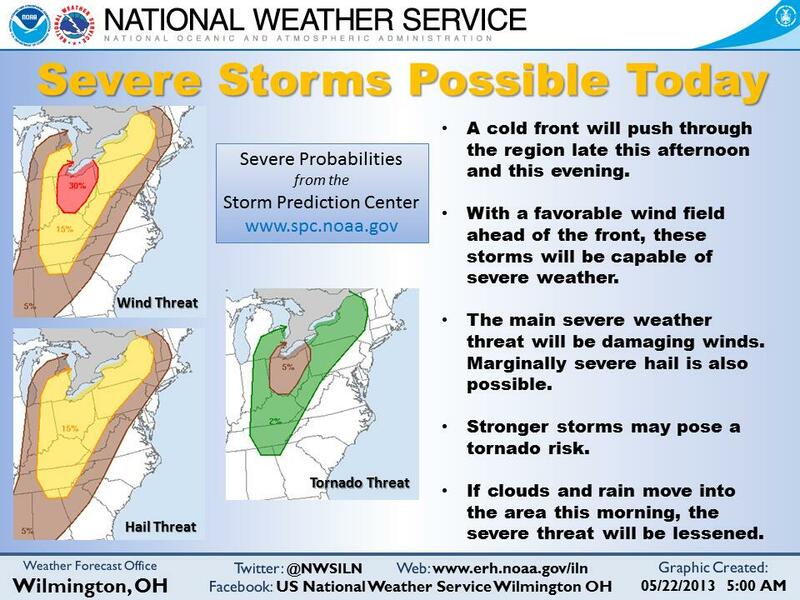 The National Weather Service in Wilmington did a great job depicting what kinds of weather we expect today. Click the image if you want to see a larger version. 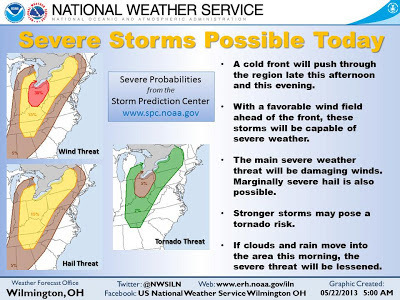 Still looking like winds will be the main threat. I looked over the latest models and it looks dry through noon then we could see some activity starting in the afternoon and last into the evening. The one thing holding the energy back would be the fact that there is not a lot of "trigger" mechanisms today. It will be a day of "now-casting" to really pour over the surface maps and visible satellite to see if there are any boundaries or areas that will help "pop" the first few storms. That is my favorite part of severe weather... trying to pinpoint the area of initialization. Stay alert and have a good one!